I'm delighted to share with you the latest experiences from our friends at Aman, and their destinations around the world. Aman’s worldwide programme of Wellness Immersions and restorative retreats invites you to combine life-changing travel experiences with personal wellbeing journeys designed to restore a sense of peace and invigorate mind, spirit and body. We're also pleased to announce a new season of Aman Private Jet Expeditions taking you to the skies, including two Pan-Asia Wellness Journeys in September and November, along with an exciting European journey in September. Amid Vinh Hy Bay's inspiring forest-meets-ocean surroundings, Amanoi hosts Wellness Immersions, lasting 3–10 days, throughout the year. The Eastern Approach to Weight Loss Immersion is guided by Chinese Medicine, and focuses on movement, lifestyle and nutrition. The more meditative Movement, Mindfulness and Stress Control Immersion offers a pathway to inner peace through a gentle fusion of Tai Chi, Qi Gong, craniosacral therapy, Reiki and soothing spa and massage treatments. The Longevity, Rejuvenation and Detoxification Immersion counters the effects of stressful modern lifestyles through specialist movement sessions and daily spa treatments, boosting circulation, enhancing the immune and lymphatic systems for a longer, healthier life. Amanoi’s Immersions can be experienced from the resort’s two new Spa Houses. Unique in Asia, these residential retreats include dedicated practitioners and private facilities, including a treatment room, steam room, Jacuzzi and plunge pool, as well as thermal therapies such as a private hammam or banya. Recently recognised as one of the world’s best spa retreats (Condé Nast Traveller Spa Awards 2017), Aman’s first resort introduces four new residential Wellness Immersions. Focused on different wellbeing goals – fitness, weight management, cleansing and awareness – these tailor-made holistic programmes of daily therapies, treatments and training combine activities including high- and low-intensity yoga, Pilates, Muay Thai, massage, energy healing, meditation and more. The Aman Spa’s resident experts and visiting specialists guide participants on personal wellness journeys lasting from three days to two weeks – with effects that endure long after the flight home. Combining the Sanskrit word for ‘life’ with ‘veda’, meaning ‘science’, Ayurveda encourages balance, in every sense. Escape to this secret garden estate in India’s rugged Aravalli Hills and reconnect within the rose-pink, Mughal-inspired sanctuary that is Amanbagh. Drawing on India’s remarkable wellness heritage, the two- and three-week-long Ayurvedic Immersions offer a unique experience of this 5,000-year-old system of preventive medicine. An in-house Ayurvedic physician oversees every detail, whether you seek an educational introduction to Ayurveda or a full three-week programme designed to rejuvenate or purify, depending on your personal wellness goals. 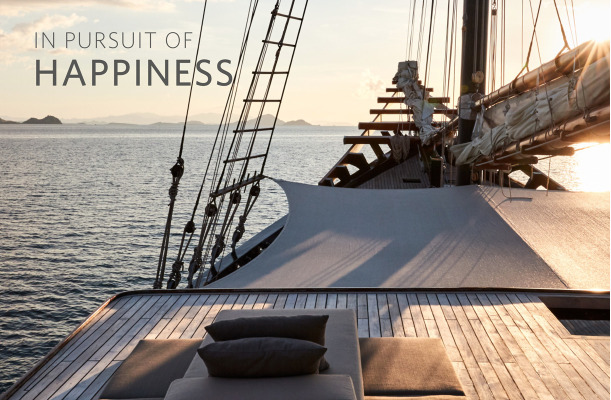 Explore a new dimension of wellness above the clouds care of Aman Private Jets, with two wellbeing expeditions, of 15 and 13 nights, taking travellers to the skies this autumn. Join Yamuna Zake, creator of the Yamuna® Body Rolling movement method, aboard an eight-seat aircraft in September. Journeying to Amankila in Bali, Amanjiwo in Borobudur, then Amanpulo in the Philippines and Amanoi in Vinh Hy Bay, Vietnam, the trip will instruct you in her method’s keystones: breathing, footwork, and yoga- and Pilates-based movement. In November, fly across India, Sri Lanka and Thailand with James D’Silva, founder of the Garuda Pilates Method, calling in at Amanbagh, Aman-i-Khás, Amangalla and Amanwella before touching down at Amanpuri. Along the way, you’ll discover temples and tigers, natural spectacles and cultural insights, interwoven with a soul-centring programme of yoga, Garuda Pilates and Ayurvedic healing.